Printed from http://www.bodytalksystem.com//learn/news/article.cfm?id=1054 on Apr 22, 2019. Hello, my name is Bianca Cassingena. I currently run my healing practice in South Africa. I combine my background as a psychologist with alternative healing practices such as BodyTalk, hypnotherapy and reiki. BodyTalk has been a fundamental part in my personal healing and growth as well as my practice. I met Victor O'Bole in 2016 in Costa Rica. He was teaching yoga at a ranch and organic farm in the middle of the rainforest. I was traveling through and we connected. He shared his dream of building a space in the South of France. Since then we have joined forces with his family in creating a space where teaching, healing and connection can take place. 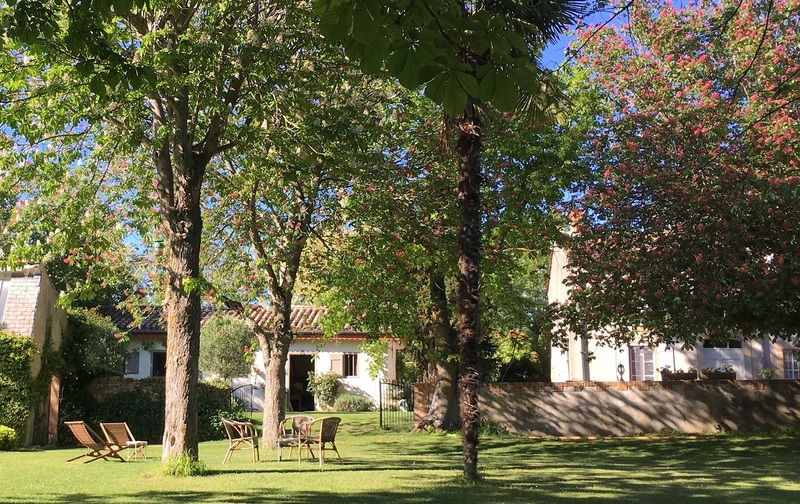 The retreat centre Domaine d'En Bonnes in the South of France just outside of Toulouse is set in a beautiful park with many trees, a swimming pool and a lake, close to the little village of Fanjeaux. We are lucky to live in a part of France that is still very authentic and where life is simple and rich with wonderful treats like local organic wines, cheeses, fruits, vegetables, oils and meats. We just finished the renovation of our seminar room (it used to be a barn) and will be open for reservations in May 2018. There is something magical about En Bonnes. It is a site that dates from the bronze age, (VII B.C.) and closer to us from the Roman presence in France (we still find today pieces of pottery). There is a wonderful park where many old trees (pines, cypresses, oaks, horse chestnut) provide a welcome canopy to shade us from the summer heat, the valley all around us covered with fields of wheat and gorgeous sunflowers, maybe it's the majestic presence of the Pyrenees mountains in the distance... somehow in En Bonnes the rhythm of life quiets down, giving us time to breathe, to rest, to listen and observe the beautiful nature all around as well as our inner selves. It seems to be the perfect place to reflect and be restored to a simple and calming way of life. A life rhythmed by seasons, harvest and meals. Nothing extravagant here, but a profound and sober beauty. Our family of 5 children settled here 14 years ago from the very contrasting New York city area. Here we found a grounding place, a home, where we have welcomed many visitors in search of space and quiet. We renovated the house entirely and can comfortably welcome groups. Bedrooms are available with shared or private bathrooms, all meals can be prepared and served here. You have all day access to the pool, the park, the seminar room and the lake. We can arrange pick up and drop off at the airport and visits to places of interest, if your schedule allows it. We will be so happy to welcome you as we would welcome friends to share the beautiful life that we enjoy here in En Bonnes. 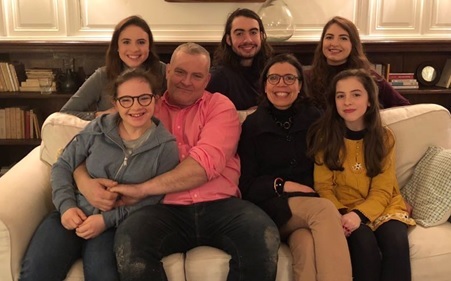 The O'Boyle family who made Domaine d'En Bonnes possible. Front Row: Louise, Hugh, Veronique and Charlotte. As a BodyTalk practitioner myself, when I first spent time at En Bonnes, I could envision beautiful modalities being taught in this peaceful setting. Moving from a typical classroom space into a more meditative space in nature seemed like absolute paradise. If you would be interested in hosting BodyTalk seminars here in the South of France, please contact me at bianca.cassingena@gmail.com. Furthermore, I am able to coordinate for any Instructors who would benefit from this service.